Saint Louis (July 16, 2012) – In the closing ceremony last night, the Chess Club and Scholastic Center of Saint Louis (CCSCSL) crowned International Master Marc Arnold, 19, of New York City, the 2012 U.S. Junior Chess Champion. The Junior Closed Championship is an invitation-only tournament that features the top chess players in the nation under the age of 21. 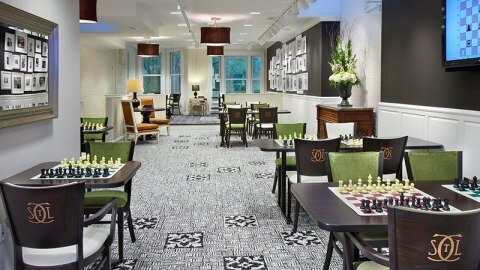 Alongside the U.S. Championship and U.S. Women’s Championship, the Junior Closed Championship completes the “Triple Crown” of the three most prestigious chess tournaments in the country. Arnold beat out 16 other players in a split round-robin tournament with a playoff final to clinch the title and the first-place prize of $4,000. As the winner of the U.S. Junior Closed Championship, Arnold will also receive an invitation to the 2013 U.S. Chess Championship, which is scheduled to be held in Saint Louis next year. According to the USCF’s current rating supplement, Arnold was ranked first by rating out of the 16 competitors and was considered one of the favorites coming into the tournament. The 16 players were split into two groups of eight, and the winner of each section squared off in a head-to-head playoff for the title. Arnold went undefeated in his round-robin section, scoring five points out of seven games, to secure his spot in the playoff finals. Arnold defeated Alec Getz of New York City, who was the winner of the other round-robin section, in a two-game playoff final. Getz, who received $3,000 for second place, entered the tournament ranked ninth out of the 16 players and exceeded expectations by winning his section over a number of higher-rated players. The junior tournament’s winnings for first through last place totaled $18,000. The championship match between Getz and Arnold began shortly after round seven. Getz drew for colors and secured white in the first game. He employed the sharp Keres Attack in a Sicilian Scheveningen. 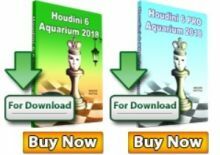 The players followed a rapid game between Vassily Ivanchuk and Alexander Morozevich from the Melody Amber tournament in 2008 until Getz played the relatively unknown 9. Qf3. A tense position was reached just before move 14, where it appeared a typically swashbuckling attack would ensue; however, Getz released the tension on the kingside with 14. Bxg5, and after a few trades, he reached an equal endgame that was drawn by move 41. 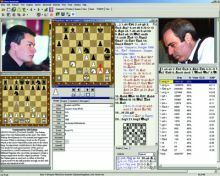 Getz played the King’s Indian in the second game, and Arnold responded with the popular Petrosian system. He punished Getz swiftly for the provocative 10…h5, picking up material with 14. Rxh5 and mounting an attack to boot. 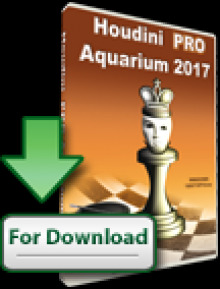 Queens came off the board with Arnold up a pawn in a dominant position. When Arnold played 23.Bh5, skewering Getz’s rooks, it looked like he had many paths to victory. He eschewed all complications with simplifying moves like 26.Rxg7 and the solid 27.f3 (instead of 27.bxc4). When the smoke cleared, Arnold was a full three pawns ahead, and Getz resigned after 37 moves. Arnold has had an incredibly successful summer so far – our new U.S. Junior Champion also earned a GM norm a couple weeks ago at the World Open in Philadelphia. He will return to Saint Louis next year to compete in the 2013 U.S. Championship. CCSCSL Executive Director Tony Rich and WGM Jennifer Shahade contributed to this report.